Here’s an interesting spin on a compilation album: have the songs chosen by an artist’s peers. Metal gods Judas Priest have done just that. 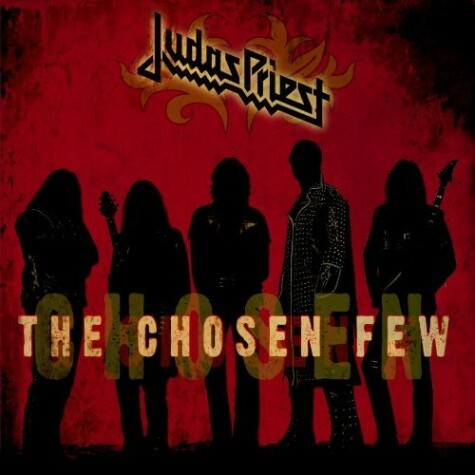 Rolling Stone reports some of the biggest names of the hard rock/heavy metal world picked their favorite Priest tracks for the band's forthcoming compilation album, “The Chosen Few,” due October 11. Songs were chosen by artists including Ozzy Osbourne, Slash, Metallica's James Hetfield and Lars Ulrich, Alice Cooper and Slipknot's Corey Taylor, among others. Each artist also explains the reasons behind their choices, including Ozzy’s selection of “The Ripper,” where Osbourne finds himself bewildered by a high-pitched note sung by Rob Halford at the beginning of the track: “F**kin hell! That note is probably just below what only dogs can hear,” writes Ozzy. "This is a collection of songs chosen by our friends and respected peers," says Halford. "So we hope all the metal maniacs out there will rock out to the tunes enjoyed by metal legends." Priest kick off the North American portion of their Epitaph tour October 12 in San Antonio, Texas. Judas Priest to play American Idol finale tonight with James Durbin?